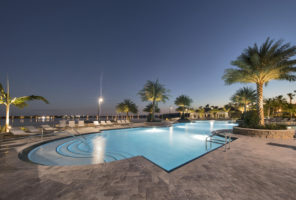 Built to support recreational activities for a 288 acre master planned community, this 16,775 square foot clubhouse includes over 5,000 square feet of covered terraces surrounded by lakefront cabanas, a resort-style pool and splash park, amphitheater, floating dock and outdoor sports complex featuring basketball and tennis courts. 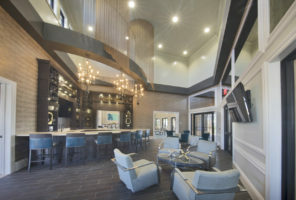 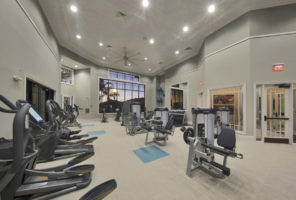 A fitness center; aerobics and yoga studios; men’s and women’s steam rooms, showers and lockers; a great hall; children’s room; pool room; bar and lounge; and party/event room with catering kitchen are among the additional amenity areas found in the community center. 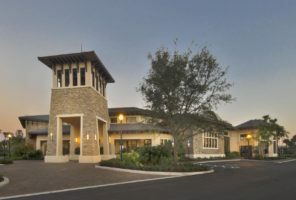 The one story structure, which sits atop spread footings and a slab-on-grade, will consist of 8” masonry block, bond beams and lintels, steel columns, wood truss mansards, barrel tile roof, painted stucco, concrete pavers at terrace and breezeways, metal spire at main entry, and a combination of window wall, Aldora Summit Series storefronts and sliding glass doors. 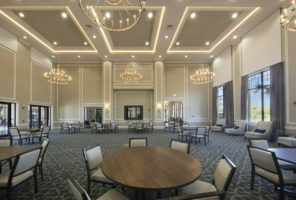 Wood floor trusses, Mohawk Hilea wood/bamboo flooring, Milliken’s “Roulette max” carpet tile, ceramic tile, crown moulding, wood baseboards and chair railings, wood fascia and outlookers, acoustical caulk at sound walls and EIFS decorative foam moldings, are among the facility’s finishes. 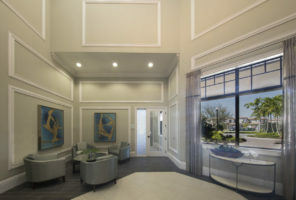 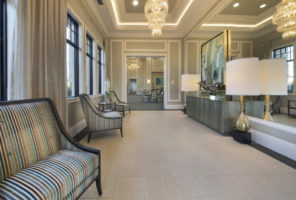 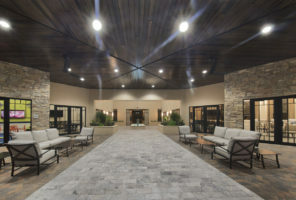 As construction manager, Craft coordinated all work within an active residential community while also overseeing all sitework components including pool, amenities and landscaping that were contracted directly by ownership. 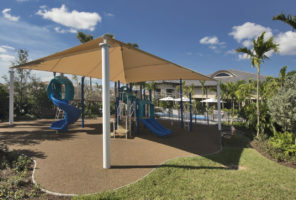 The $3 million project is scheduled to be complete in just 10 months.